Definitely, British civilians came to Hong Kong via Macao and Canton. In fact, Macao had horse racing before Hong Kong. There is reason to believe, however, that it was the British traders who promoted racing first in Macao. After Hong Kong became British Colony, Meetings were continued to be organized and raced at Macao for a few years. Until the operation could transplant to the newly formed Colony. the annual races during the administration of Hong Kong’s first Governor, Sir Henry Pottinger (1841-4), were …. Although horses owners and riders have been connected between the two cities, there had no collaborated stakes races. Therefore Hong Kong Macau Trophy has been an historic occasion at Sha Tin Racecourse. It is the marking of the the first ever race planned specifically to match qualified high class horses from either side of the Pearl River delta. 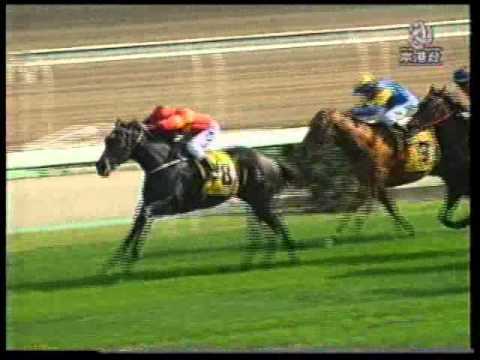 2004-02-15 the inaugural running of the trophy race was run on turf at Sha Tin in a distance of 1600 meters. There were no cross-betting arrangement for the Hong Kong Macau Trophy races in the beginning. The MJC would not operate betting when the first leg was run at Sha Tin. Likewise, the HKJC did not operate betting when Taipa Racecourse staged the second leg. Thereafter, Hong Kong Macau Trophy have been raced on turf at Sha Tin in a distance of 1400 meters. “The Macau Jockey Club sees the inaugural running of the Hong Kong Macau Trophy as one of the most important steps in its history. It marks the beginning of a new era of cooperation and goodwill between the two racing clubs. It is obvious that the Macau owners and trainers fully support this concept with entries being received from all of the Macau horses eligible for this race. The Board of Directors and the management of the Macau Jockey Club wish the Hong Kong Macau Trophy every success,” said Mr Ian Paterson, the MJC‘s Director of Racing and Chief Stipendiary Steward. 1858, there was a record of Mr E. Pereira presented the Macao Cup, a trophy race for horses, not for ponies.